Skype for Business is part of both Microsoft Office 2016 and Microsoft Office 365 and available for students as well as employees at University College Absalon. All Absalon employees with a newly deployed computer already has Skype for Business installed. If you already have Microsoft Office 2016 or Microsoft Office 2013 installed - then you also have Skype for Business installed. If you have a computer with Microsoft Office 2010 installed, you can easily install the latest edition of Microsoft Office yourself. The license covers both installation on corporate as well as private computers. Follow the instructions below to install Skype for Business on your computer. You must have a valid Absalon email address. Access to Microsoft Office 365 is only valid as long as you are registred as either an employee or as a student. You install Skype for Business as part of the full Office-package! 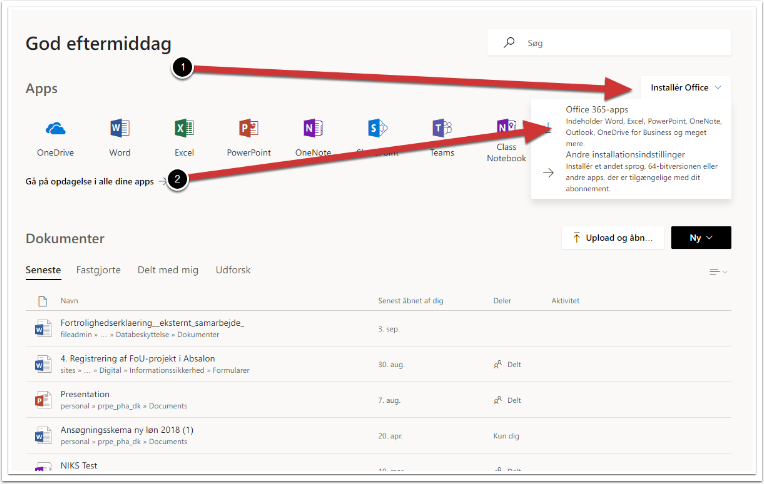 Follow this link: http://office.pha.dk - log in with your Absalon email address and password. This will start a download in your browser. Follow the instructions - you must be online the whole time during the installation.